The town of Minturn for the past couple of years has been working on still-in-pencil plans for the future of property in Dowd Junction. Only time will tell if that work pays off. Roughly 14 acres at Dowd Junction is owned by the U.S. Forest Service, land that’s now used for parking and the agency’s offices there. That’s a good bit of valley-floor property that could be ideal for several uses — if the Forest Service ever gets to the point of selling the land. Most Forest Service property can only be transferred via land exchanges, but the Dowd Junction parcel can be sold outright. 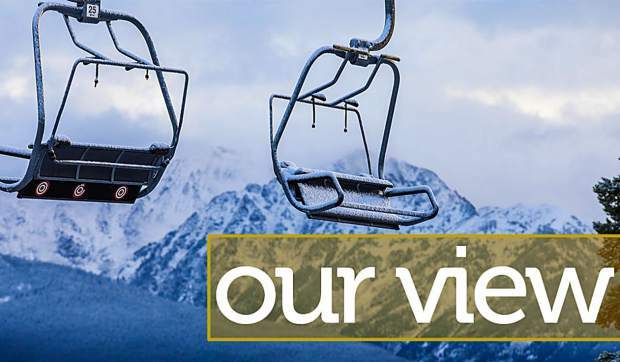 Once the agency picks a site to consolidate its Eagle and Minturn operations, it completes an environmental review of the property and takes public comment on the proposed sale. That’s actually easy by Forest Service standards, and the day will come — eventually — when the Dowd Junction parcel is put up for sale. That’s when local interests may have some robust discussion about the future of the land. Minturn officials see the parcel as a way to expand the town’s sales tax base. Sales tax is the lifeblood of municipal government in Colorado, and Minturn could use an infusion. That’s the direction the town’s planning is going for the parcel. Again, though, nothing is even written in pen, and there are no formal proposals for any development on the property. But 14 relatively flat acres a stone’s throw from Interstate 70 and two miles from the West Vail interchange would also be ideal for housing. Once the land sale is cleared, there’s going to be pressure for that use on the site. At the moment, Minturn would seem to have an edge in terms of a claim on the property. Minturn many years ago annexed the Dowd Junction parcel into the town’s boundaries. The town now has no regulatory control over the land, since it’s in federal hands, and the town can’t zone federal property. A sale would allow the town to impose zoning on the parcel. How the town zones the land — a process that involves public hearings and two town council votes on an ordinance — will influence what’s built there, and that’s what officials are talking about now. On the other hand, the Dowd Junction parcel is going to be an expensive piece of land, and federal rules don’t allow for hometown discounts. How the town — or the town in partnership with a developer — might acquire the land remains one of the biggest questions about the future of the parcel. If the process starts to move quickly and another party steps in with cash in hand, then things could get complicated and contentious. Again, the process of selling the Dowd Junction parcel dates back at least a couple of years. It could take another couple of years, or longer, before the deal is close to fruition. But, like watching a snail ease its way across a garden, the story is worth the occasional look into its progress.